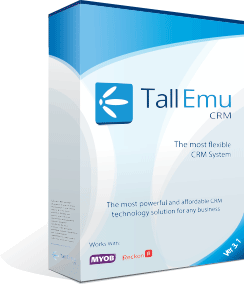 The Assets management function in Tall Emu CRM allows you to log information about your customer’s assets (regardless of whether you sold them the asset) and track work order history on the asset. This is very useful for companies that provide a servicing, maintenance or repair services to their customers. This feature can be easily customised to suit the needs of any client and any asset across multiple physical locations. An example would be a company that had to do routine inspections or servicing of equipment that they sold to their customer. You can record inspection dates and outcomes and have a trigger to notify you when a particular customer needs a site visit.